Work in Healthcare? You Should Be Using Mobile Time Clocks. Tech travels at warp speed in the healthcare industry. It’s not only patients who have benefited, employers use it to better manage their workforces. GPS tracking of mobile workers may not seem revolutionary, but it is helping employers in a big way. What’s New In Mobile Workforce Management? If you own a home healthcare business or work in HR and have not explored the latest mobile Workforce Management tools, keep reading. New mobile time clocks ensure timekeeping accuracy wherever your employees are working throughout the day or night. Your supervisors will appreciate how easy it is to see what’s going on with everyone in their department. What’s more, these mobile tools can be set up quickly for your staff and are surprisingly affordable. If you are looking for a way to streamline Workforce Management and simplify payroll, this is it. When your workers are mobile, the ordinary employee timekeeping and scheduling tasks are more complex. It’s hard enough to track rotating nurse schedules in a busy LTF, but when workers are spread across town, you need convenient mobile apps. These apps should allow them to clock in, check their schedule, access time card data, and request shift trades. They need to be able to do this quickly and conveniently so that patient care isn’t compromised due to a clunky time and attendance system. They may battle commuter traffic to get to their first appointment. When the aide arrives, he or she helps the patient get bathed and dressed, which often requires heavy lifting. The caregiver then takes the patient’s blood pressure and other vital signs, administers meds, makes breakfast, and does some housekeeping. Keep in mind that many patients are dealing with chronic pain, restricted mobility, and the limitations of aging, so it’s understandable that they are not always happy campers. (Who can blame them?) Working as a home health aide can be rewarding, but it’s definitely not easy to care for people with physical, mental, and emotional challenges. Being a supervisor is not a walk in the park, either. What if an aide wakes up with the flu when two others are on vacation? The sick one certainly can’t risk transmitting their illness to a patient whose immune system is already compromised. How can the supervisor quickly find a replacement so that all patients are visited on schedule? Workforce Management Suite from SwipeClock helps mobile healthcare companies manage large teams efficiently so their patients receive the care they deserve. Effective management is also key for controlling labor expenses. If you are responsible for scheduling, you know it can be pretty tricky. You have to take into account, oh, maybe a hundred variables. (I may be exaggerating, but it seems like it.) When creating schedules, you have to keep track of your employee’s certifications, patient visit durations, adequate shift coverage, patient status, travel time, and route details. Accurate employee time and attendance have significant compliance implications, as well. The construction industry has been under increased FLSA scrutiny in the past few years and wise owners should review their policies and improve them if necessary. Pay special attention to minimum wage laws, employee classification, proper payment of overtime, and ACA employee hours regulations. You may also live in a state that has added new Family Leave or Predictive Scheduling laws. Did you know that employees can download a free time tracking app from the DOL website and log their own time? If an employee thinks they are being treated unfairly, he or she can request a DOL investigation. Would your time and attendance records stand up to an audit? If an owner can’t produce verifiable employee time and attendance records, he or she is usually assumed to be guilty. 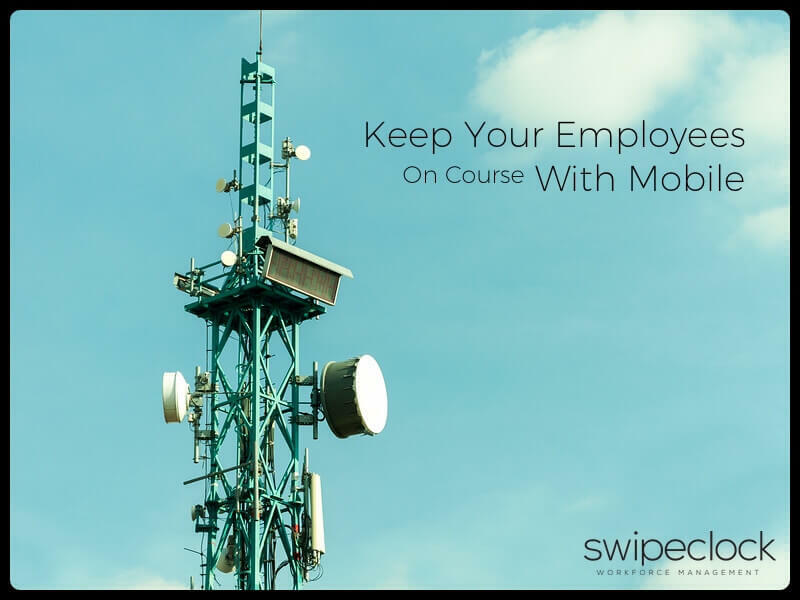 You can find more information about SwipeClock Mobile Workforce Management for healthcare on our website.